Have a problem or concern about an App Center application? NVivo research software helps you to make sense of messy, qualitative data, like notes, photos, recorded interviews and web content. 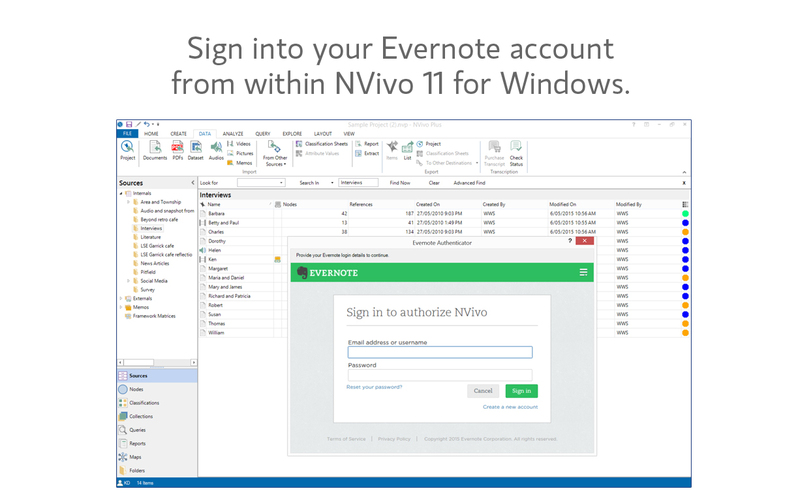 Easily bring information you’ve captured with Evernote, like observations, webclippings, voice memos and photos of brainstorms on whiteboards directly into NVivo 11 for Windows for analysis. 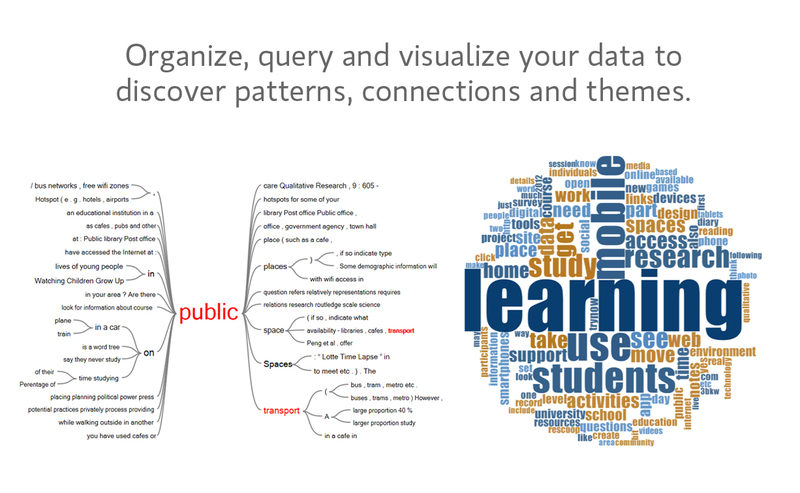 It’s easy to organize, query and visualize your Evernote data with NVivo! 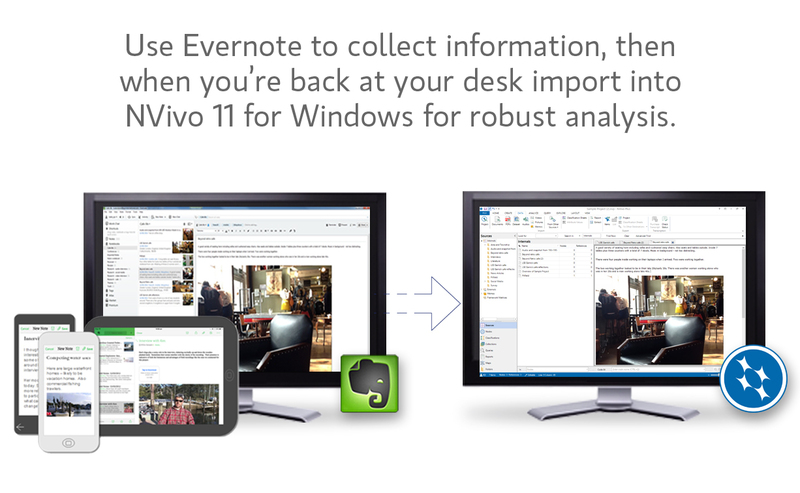 To learn how you can unleash the power of Evernote and NVivo, read, "Top 5 Ways to Combine Evernote and NVivo for Research On-The-Go." NVivo 11 for Windows is available in three editions: NVivo Starter, NVivo Pro and NVivo Plus. Each edition supports different data types which means how you work with Evernote content will differ based on your NVivo product. Find out more about the NVivo editions here. Like what you see? Get started now. 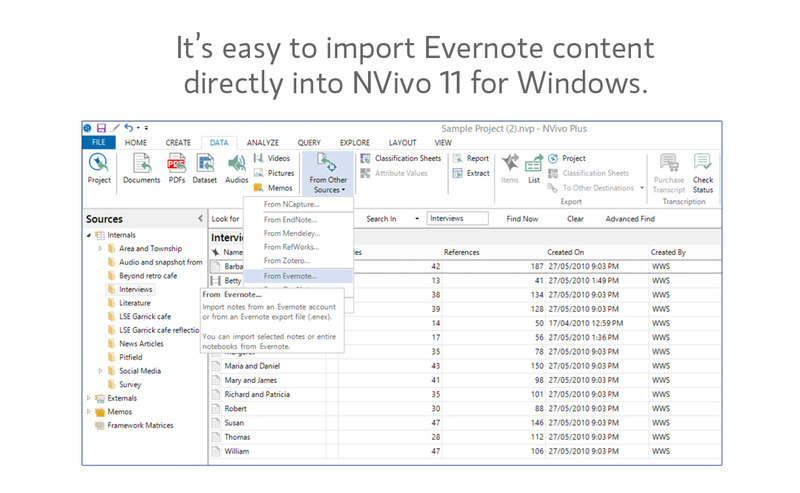 Try NVivo 11 for Windows for free for 14-days! Copyright 2014 Evernote Corporation. All rights reserved.